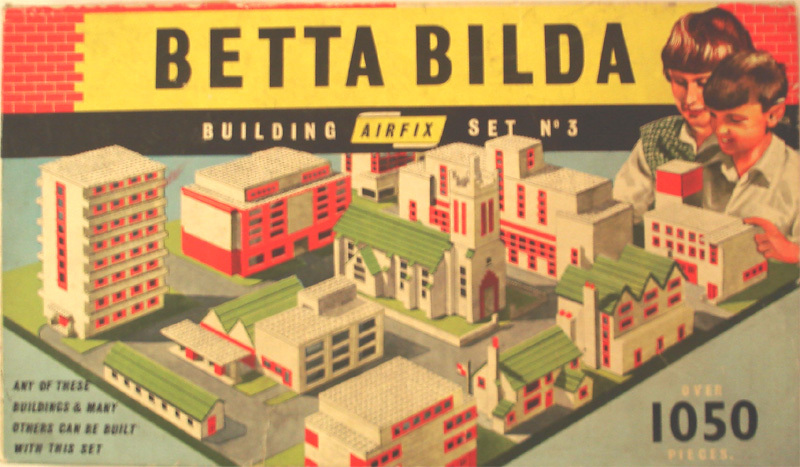 Betta Bilda was launched by the UK plastic kit company AIRFIX in 1961 replacing its previous and largely unsuccessful construction system. It is based on 1X2 bricks and 1X- beams of varying lengths, as well as thin plates that are evident LEGO clones, as are the windows. 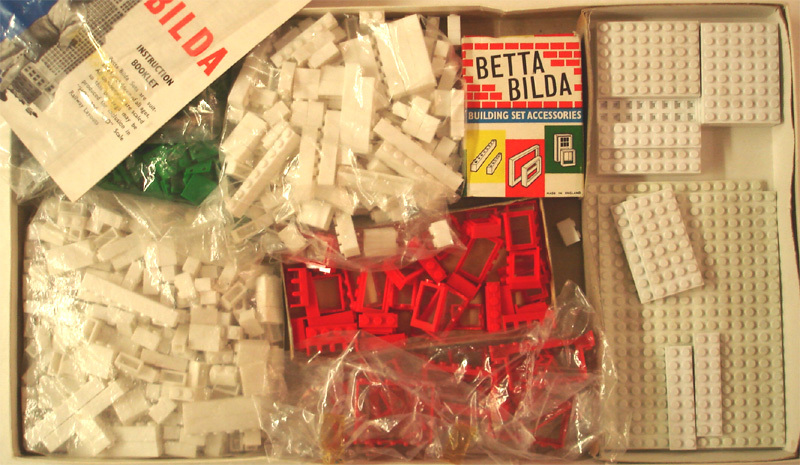 Although very similar to LEGO, the systems are not intermutable due to a slight modular discrepance. Betta Bilda follows the uncanny fancy for stuttering names that characterizes the toys market in the sixties and sides with such unforgetable jewels of toy naming as Loopyloop, Disky Discs, Booma Boomerang, Tiny Tears, Ride-a-Roo, Glow Globs or Instant Insanity (!!). It must have been very successful in its time (1960s-1970s) because it is still very common today and since sets are liberally filled to capacity, it remains an option for builders looking for large quantities of bricks and beams for major projects.